The Riigikogu passed with 78 votes in favour the International Military Cooperation Act Amendment Act (932 SE), initiated by the Government of the Republic. The Act specifies the regulation of the use of the Defence Forces in international military cooperation, enables a unit of the Defence Forces to react quickly in accordance with the situation if necessary. 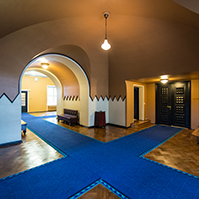 Pursuant to the Act, the Riigikogu decides on the use of the Defence Forces before the strike team of the Defence Forces assumes readiness of quick response, instead of making a decision in every single case. 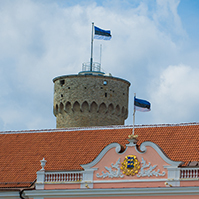 The Act also creates a provision delegating authority which allows Estonia as a receiving State to collect necessary personal data for the conclusion of agreements on the use of civil resources. 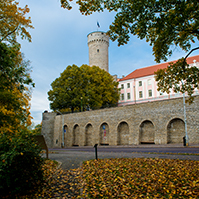 The Riigikogu passed with 75 votes in favour the Act on Amendments to § 1 of the Strategic Goods Act (949 SE), initiated by the Government of the Republic. The Act gives the Minister of Defence a provision delegating authority to establish a procedure for importing and exporting battle equipment and other special equipment for defence purpose, with the intent to return it back unchanged. 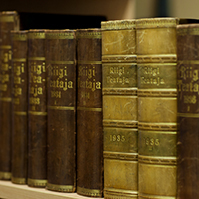 The Riigikogu passed with 64 votes in favour the Act on the Accession to the Protocol on Explosive Remnants of War of the Convention on Prohibitions or Restrictions on the Use of Certain Conventional Weapons which May be Deemed to be Excessively Injurious or to Have Indiscriminate Effects (960 SE), initiated by the Government of the Republic. The purpose of the Protocol is to minimise the post-conflict humanitarian problems, caused by the explosive remnants of war. 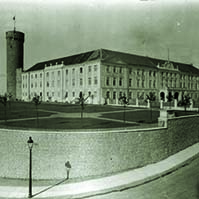 The Employees Representative Bill (928 SE), initiated by the Government of the Republic. The motion of the Social Democratic Party Faction to reject the Bill was not supported. The result of voting: 4 votes in favour, 45 against. The Bill on Amendments to the Commercial Code and Associated Acts (991 SE), initiated by the Government of the Republic. 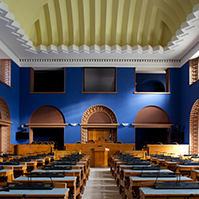 Chairman of the Cultural Affairs Committee Olav Aarna withdrew from legislative proceeding the Draft Resolution of the Riigikogu On Amendments to the Resolutions of the Riigikogu in connection with the Appointment of a New Member of the Broadcasting Council (1007 OE), submitted by the Cultural Affairs Committee. At Question Time Minister of Education and Research Mailis Reps answered the question of Janno Laur about the financing of schools, the question of Helir-Valdor Seeder about the reorganisation of the Olustvere Service and Rural Economic School and the Õisu Food Industry School, and the question of Olav Aarna about the education policy. Minister of Defence Jürgen Ligi answered the question of Urmas Reinsalu about the national defence. Minister of Economic Affairs and Communications Edgar Savisaar answered the question of Ain Seppik about the entrepreneurship development plan. The sitting ended at 7.32 p.m.